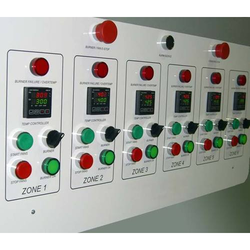 - Temperature control Panel for Hot runner Molding Machines. - Temperature control panels from 1 to 48 zones/channels. - Temperature controllers with ON/OFF, PID Control features, compatible for RTD and Thercmocouples. We are of the renowned manufacturers of Temperature Control Panel. We have made sure that these are engineered from the best quality raw material and are also acknowledged for their sturdy construction and durable service life. Due to their excellent design and fabrication the client's end receives with and increased accuracy and infallibility. We offer a qualitative range of precisiotemperature-control-panels-250x250n engineered Temperature Control Panels that are in compliance with the international standards and are offered to control heaters and other heating elements. We are one of the trustworthy and renowned organizations, involved in offering a wide gamut of Temperature Control Panels to our clients with the help talented professionals. Relying on our expertise in this domain, we are into offering Temperature Control Panel. Along with other supreme quality control panels, our company also is engaged in manufacturing and supplying one of the best quality Digital Temperature Control Panel. 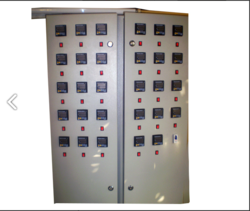 These temperature control panels are very necessary equipment for any industry for the regulation of temperature as per the need.